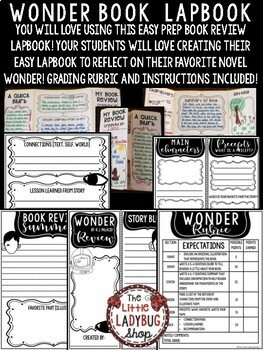 Wonder Lapbook is ready for you to use with your students! This is a fantastic EASY PREP activity to do as a culminating project! 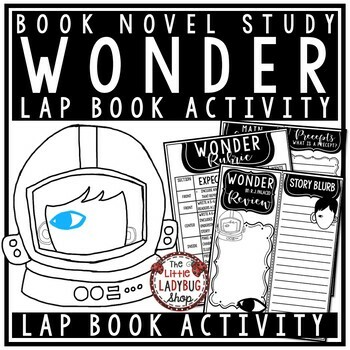 Your students will LOVE creating their Wonder Lap Booklet! ⚫1st:fold file Folder where ends meet. ⚫2nd: Have students write and draw before cutting and gluing! ⚫3rd: Glue and it is complete! ⚫Thank you for visiting The Little Ladybug Shop. I would love for you to become a follower. The Little Ladybug Shop followers receive new product information and discounts on any new items! ⚫I appreciate you taking the time to preview this item. If you have problem or find a discrepancy I would LOVE if you would contact me before leaving a rating. My goal is to please all my customers. Blessings!